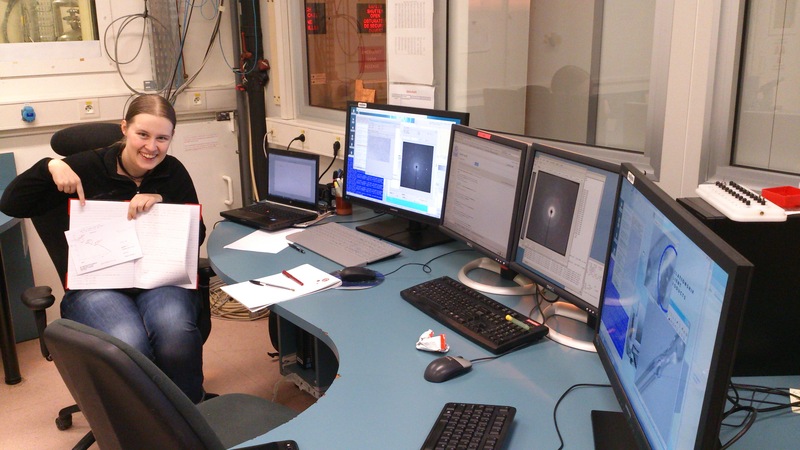 We were lucky to get a few days of beamtime on the hard X-ray instrument ID11 on the ESRF in Grenoble, France: from December 1st to 3rd. We measured reflections for several of our LSCO crystals at different temperatures, to get some of the beautiful superstructures in even better resolution that before. I also got to see the mountains surrounding Grenoble from a new direction – I’d never all the way down south by the synchrotron on campus, and had no idea that there was a little roundabout down there either. Either way though, the view was awesome on the days we had sunshine!